St. John’s Community Care and We Rock the Spectrum Kid’s Gym are partnering to host intergenerational music classes called Grandfriends. Intergenerational music is the bringing together of children and their senior friends for an enjoyable session of fun and music resulting in bridging the ages. We Rock the Spectrum Kid’s Gym has been in Edwardsville for almost 2 years and was founded to provide a place for children of all ability levels to play and grow together. Franchise owner, Jennifer Range, heard of music therapy classes for the elderly and specifically remembered seeing something about Intergenerational Music on Facebook. With St. John’s Adult Day Program right next door, it seemed like a natural fit. 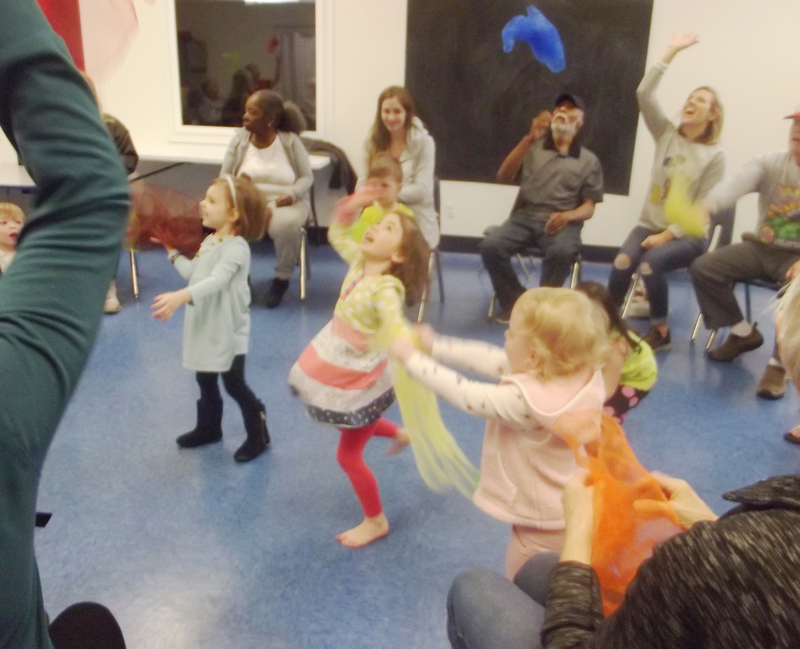 Jennifer contacted Stacey Rhodes – Adult Day Program Director – and together they’ve arranged a series of Intergenerational Music Classes called Grandfriends at We Rock the Spectrum Kid’s Gym 1015 Century Drive – University Pointe II Edwardsville, IL. Classes are currently held each Wednesday at 9:30 a.m.
Elizabeth O’Dell, the music therapist that works with We Rock the Spectrum Kid’s Gym, put together the program. “The social benefits for both ages are amazing, but the brain benefits for the elder group are profound,” said Elizabeth. e program shy or unsure and in just a few weeks are now fully engaged in singing and socializing with the children. It’s definitely an energizing pick me up for everyone! Although Jennifer is offering this program free to St. John’s Adult Day participants, there is a cost involved to pay the therapist who plans and implements the program each week. St. John’s would like to see the program continue and wants to help secure the needed funds. Session fees are $75.00 each week. If you or your business would like to help fund the program, please contact Jennifer at We Rock The Spectrum Gym at 618-307-5834.